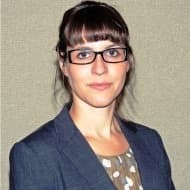 Alexis Arthur is energy policy associate at the Institute of the Americas, a think tank on Western Hemisphere Affairs based in La Jolla, Calif. She regularly writes and tweets on energy and natural resources policy in the U.S. and Latin America. On the side, Alexis writes about Australia-Latin America relations. Where Do The Oil Majors Really Stand On Climate Change?